Originally from Texas, Steven “Foy” now calls North Carolina and NOC his home. 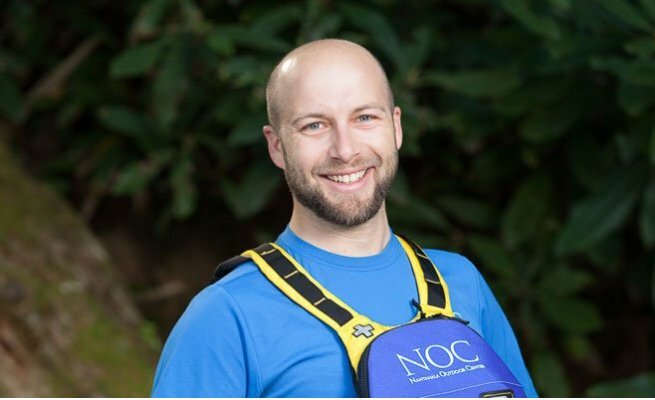 With 8 years of whitewater experience, Foy began at NOC as an Ocoee River Guide. Now the General Manager of River Operations, Foy still finds time to guide a rafting or aerial trip and instructs for Paddling School when needed. With a B.S. in Recreation, Park & Tourism and M.S. in Recreation Studies, Foy is no stranger to the outdoors. Before NOC, Foy worked as a backpacking guide for Yosemite Mountaineering School and Boy Scout's High Adventure Bases. Most recently he went on a 13-day self-support kayaking trip through the Grand Canyon. When he isn't outside, Foy enjoys reading, drinking coffee and cooking. In fact, he use to work as Kitchen Manager for an international competition BBQ team.